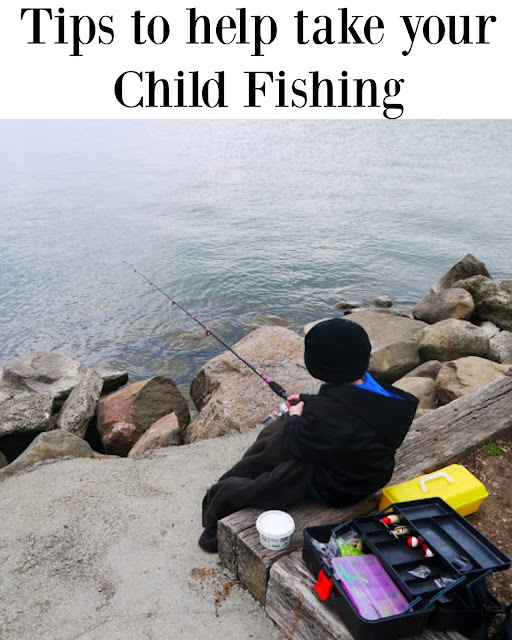 We took our little one fishing for the first time and I thought I would share some tips to help you have a smooth trip. My first tip would be VERY important to consider, when planning a trip out fishing. Weather conditions! Check the weather forecast before you go just to eliminate any sudden surprises. For instance we hit high winds as soon as we got all of our equipment out of the car. So plan ahead! 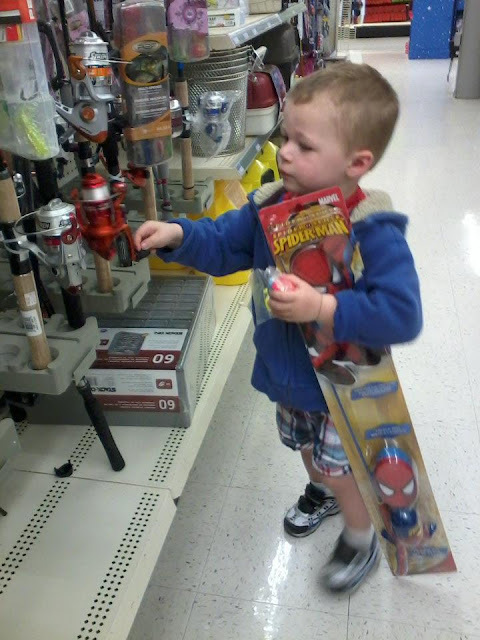 Of course you need to purchase the fishing equipment before you plan a trip. When fishing with your little one try explaining what you are doing, as you are doing it, to help include them. 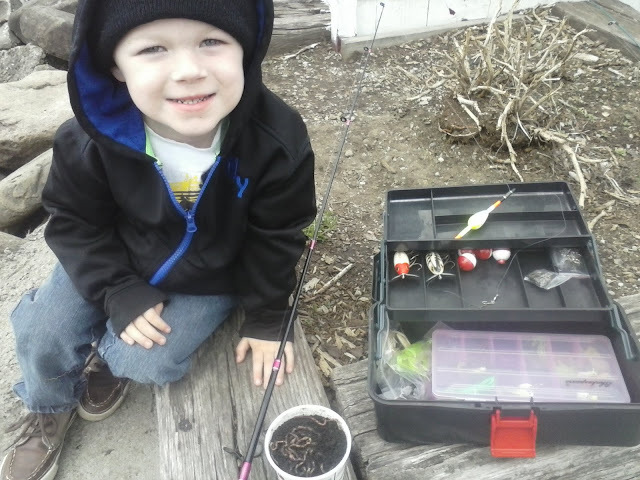 He was not ready to bait his own hook but that's ok. We used worms for this trip! We bought them at Walmart ($3.25) because we just didn't want to go and dig some up, yes lazy butts we are! Remember to bring a towel or wet wipes, fishing can get messy. So the last few tips don't really seem so important and may be common sense but are VERY important. Fishing is a waiting game! So bring snacks, drinks and a plan B if the fish decide they are not hungry. Most important have fun! 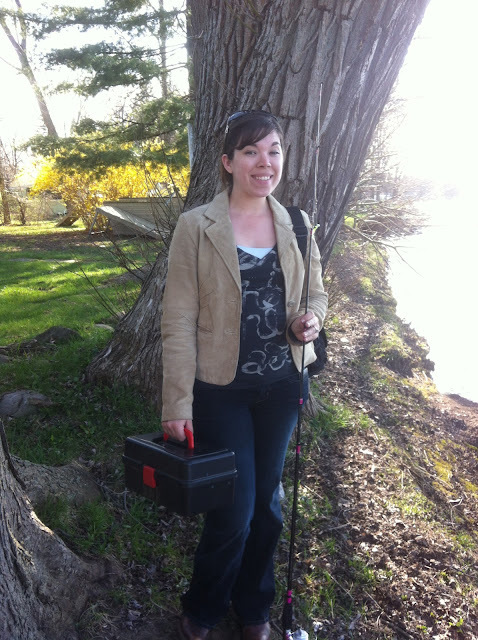 So you may not catch anything or you hook a tree, sea weed and then some, so what? Stuff like this will help build memories and fun past times. Do kids play with their toys?